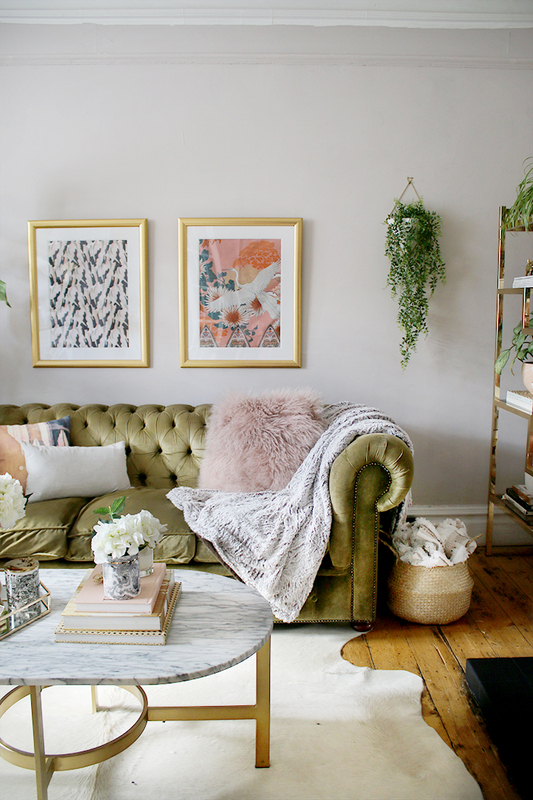 As you probably already know, I do love a bit of boho thrown into my glam because sometimes that glamorous look can read a bit too formal or stiff for me. I want people to come into my home and feel like they can immediately relax. 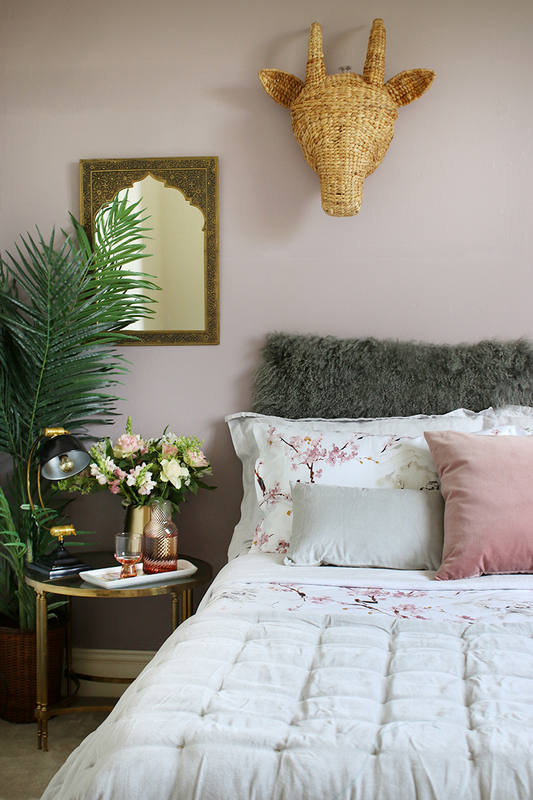 It’s not a showhome, after all, it’s where we live and elements of bohemian style create such a wonderful casual element that balances the formality for me. 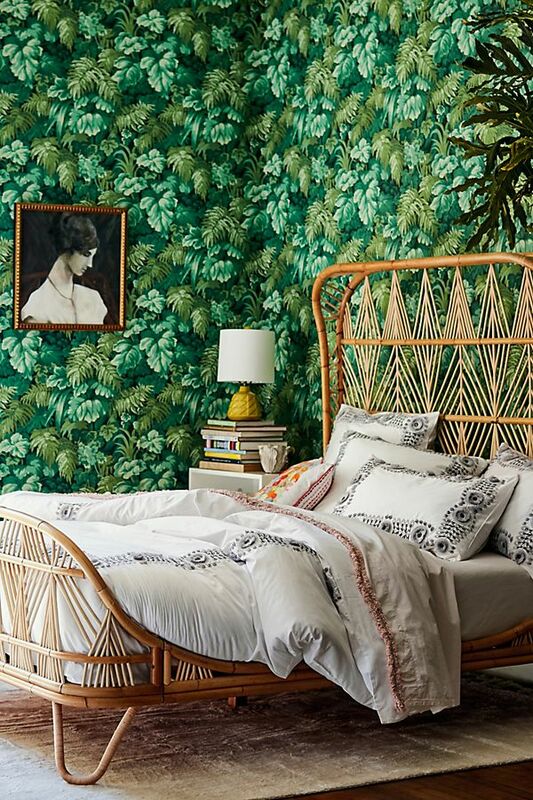 Rattan and woven textures are an element of bohemian design that I can’t get enough of. 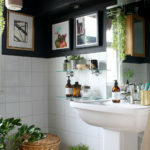 It shows up in lots of different styles, of course, from Scandinavian to Rustic, Traditional and Global, the list goes on. Which shows just how versatile it is. 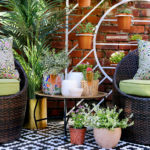 It also adds an element of texture that just can’t be beaten and has an organic quality which will ground any space. Basically, it’s one of my favourite materials and I feel like I just don’t have enough of it in my house. Of course, I have baskets – lots of those. And I have a set of vintage woven wicker chairs in my bedroom from the ’60s. So those all count. But I’m thinking I really need to add a few new pieces so I’ve been scouring the interwebs and I’ve been pretty overwhelmed by the choices. 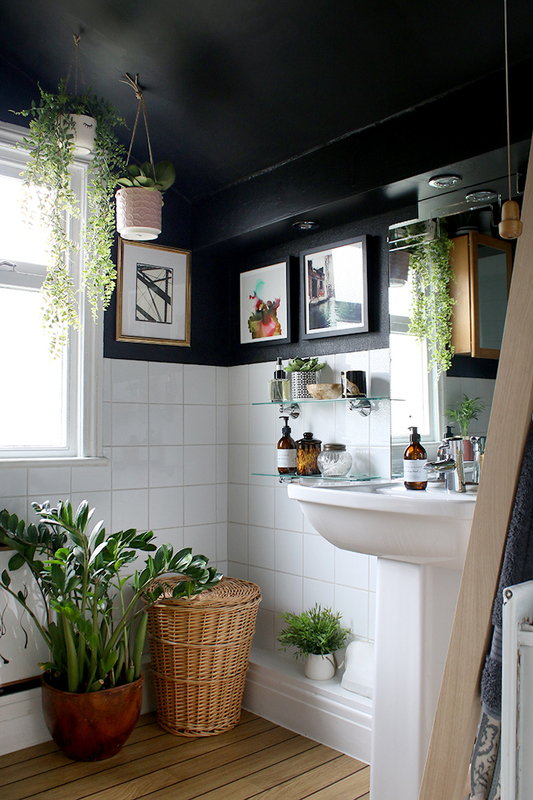 There is so much out there that’s turning my head because it’s such a big trend at this moment so if you love it too, you’ll be happy to know there’s plenty of choice. As a side note, I did look up what the difference between ‘wicker’ and ‘rattan’ was. Because they are used so interchangeably that I was getting a bit confused. 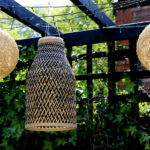 However, boiling it down, wicker is that weaving technique and rattan (or bamboo sometimes too) is the specific material from which a piece is woven. 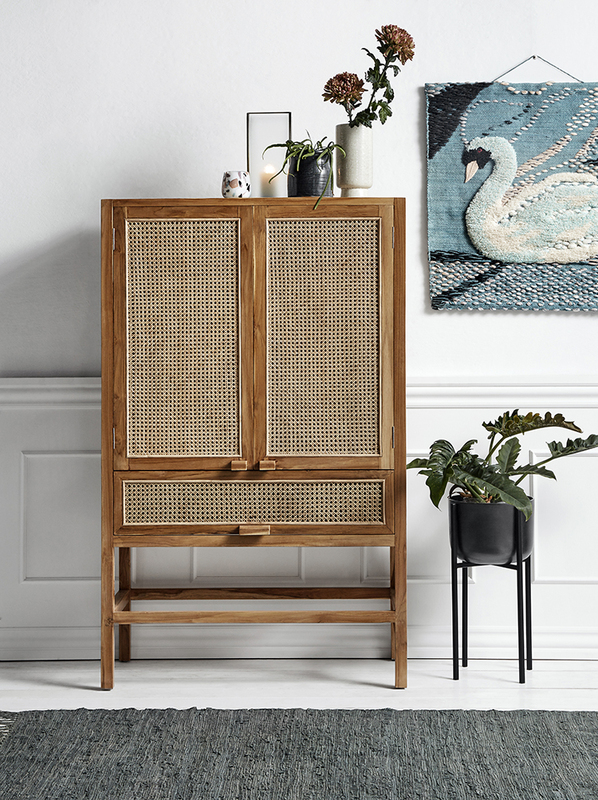 So you can have a rattan piece that’s considered wicker but you can also have a wicker piece that’s not rattan. Make sense? Cool. 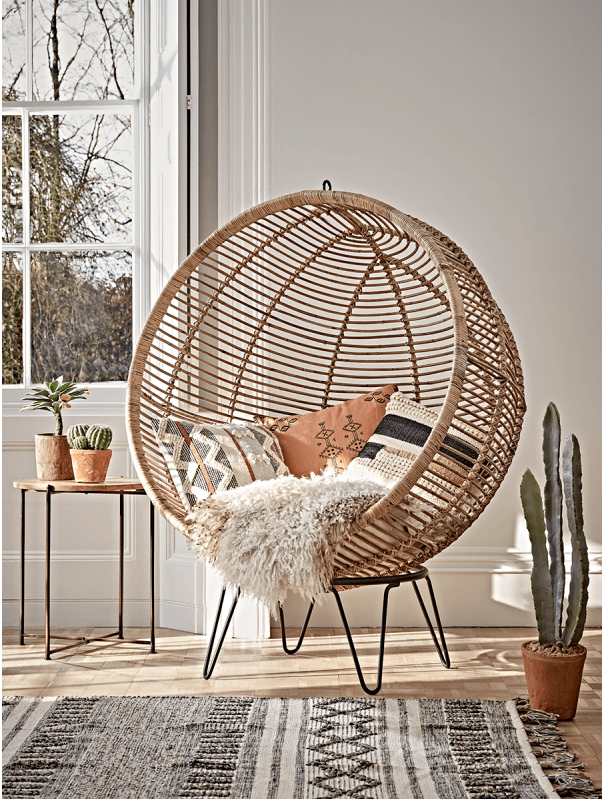 Anyway, I wanted to share a few of my favourites today because wicker and ultimately, rattan, can be that perfect material for your home this Spring. This post may contain some affiliate links which means I make a small commission from the brand as a thank you for the referral if you purchase something through my links. So this is probably one area where you’ll be completely spoiled for choice. Nearly every shop on the high street has gotten into some kind of wicker lighting and this one from French Connection is pretty perfect. Oversized and interesting without overpowering. Seeing as I already have two, I probably don’t need another but this chair from Out There Interiors is something rather special. It looks old, it looks new and so there’s something rather timeless about its shape and I genuinely believe it would work just as beautiful inside as it would out. Speaking of special, this Cox & Cox round chair made my jaw drop the first time I saw it. I wish I had the space for it somewhere in my home but my favourite thing about it is that it can either be used on the frame or it can be hung from a ceiling so it’s actually pretty versatile. 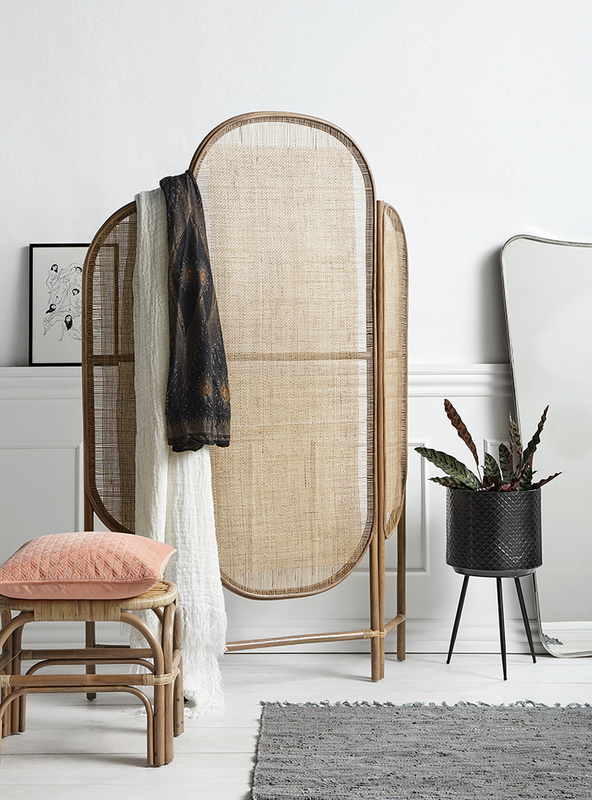 I have no need for a decorative screen but this one from Out There Interiors is really rather beautiful for adding some texture to a dressing room or a bedroom. For those with open plan areas in their home, this could be a great way of zoning an area or simply creating some height and warmth in any space. 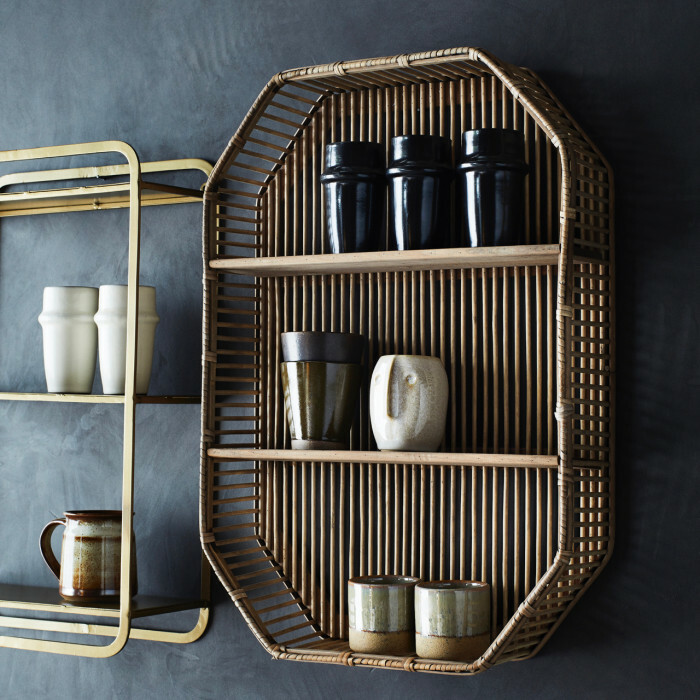 I keep thinking about this wonderful shelf from Arbol House. I’m not entirely sure where I’d put it (thinking the guest bedroom maybe?) but I’m sure I’d find a spot for it somewhere. I think it’d work really nicely in a small kitchen too. Oh yes, another from Out There Interiors but I just can’t get enough of that lozenge shape (very on trend this year, by the way). They have it in two versions – one as a wardrobe and one as a simple cabinet. The contrast between the black and natural caning is striking but they also carry it in a pale grey colour for something a little quieter but no less gorgeous. 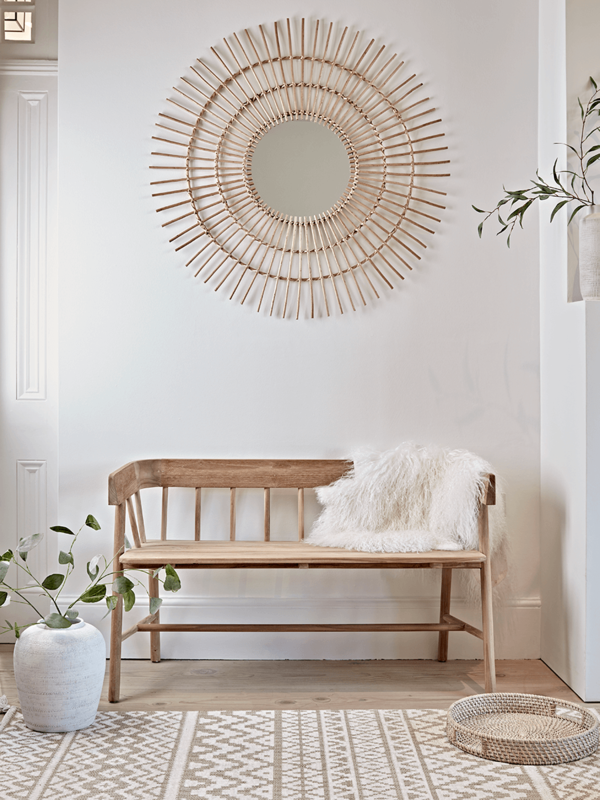 Of course, one of the hallmarks of bohemian design is a fabulous 70’s inspired woven starburst mirror and this one from Cox & Cox is pretty fantastic. 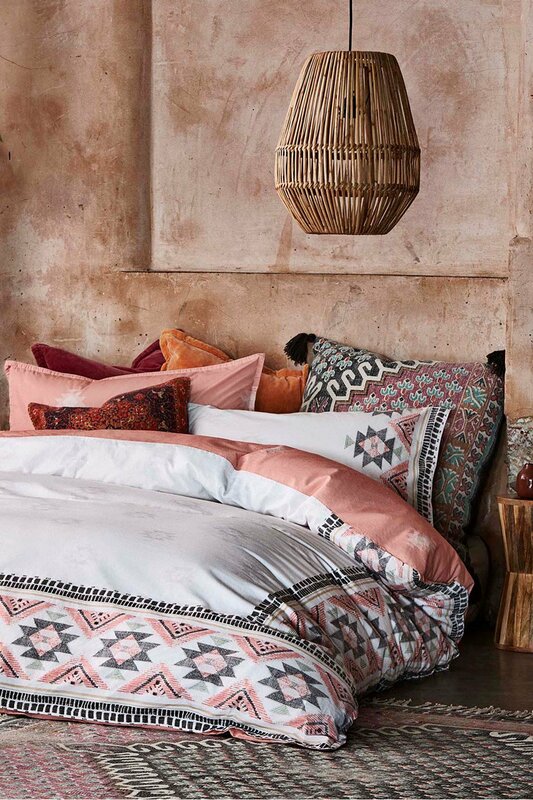 Oh, Justina Blakeney, the queen of ‘Jungalow’ style has created quite a gorgeous collection for Anthropologie and this bed is just such a show-stopper, isn’t it? The detail is just incredible. 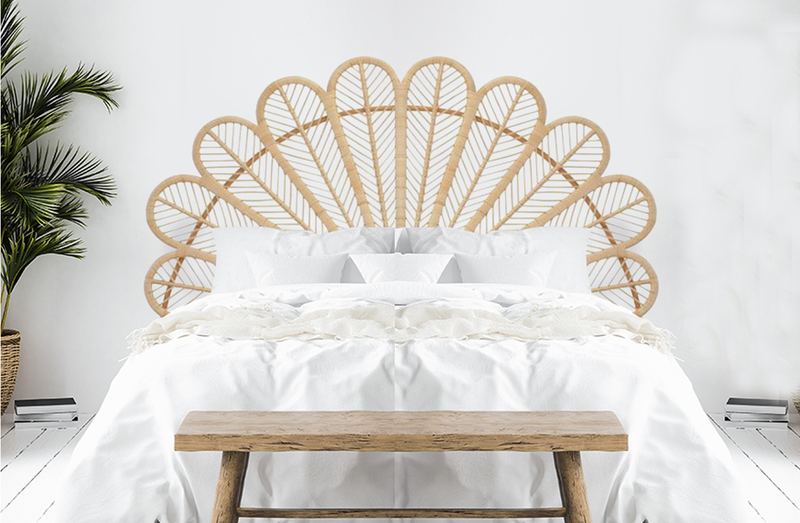 If you’re looking for something that gives you the same sort of feel at a lower price point, then check out The Rattan Company which has a myriad of different headboard styles in rattan which might just do the trick too. 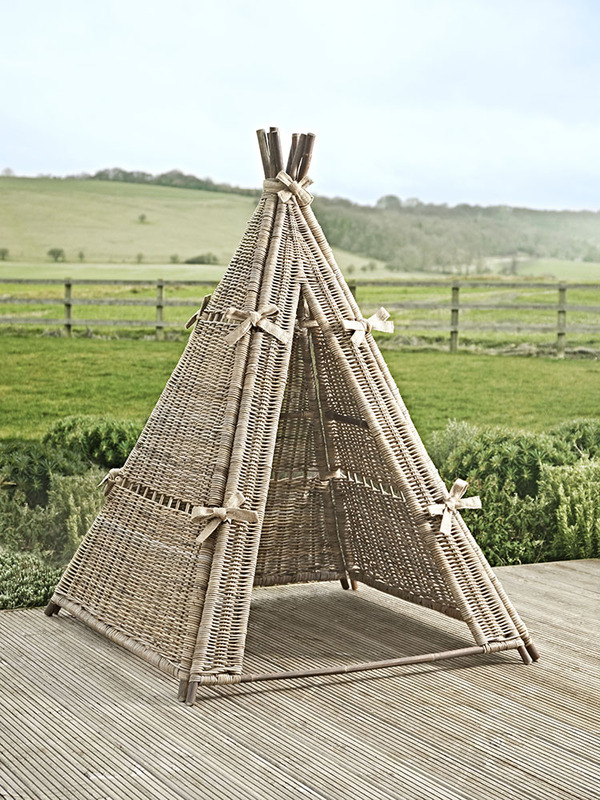 I couldn’t help but include this beauty of an outdoor tipi from Cox & Cox – yes, it would be perfect if you have children and I’m not entirely sure how well it would last in our rainy seasons but it’s cute as anything, isn’t it? I just love it. 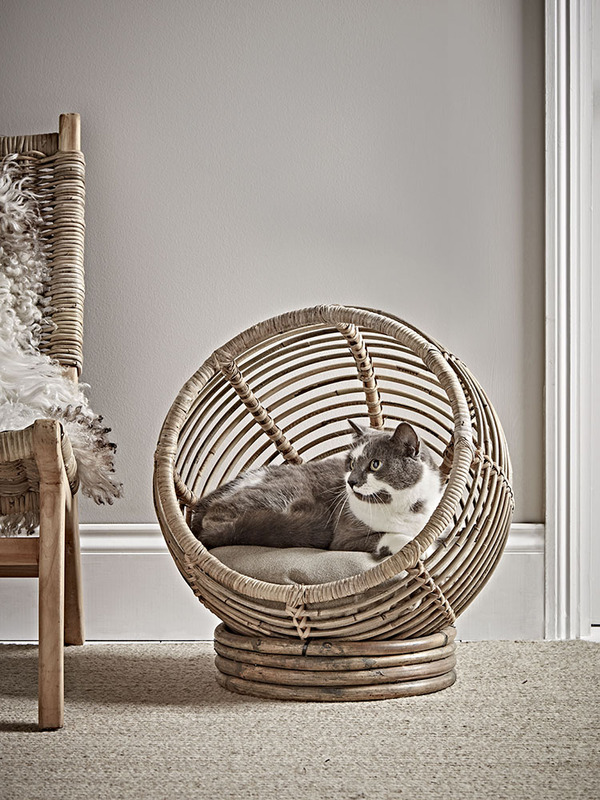 Seeing as the tipi is unlikely to happen, I have been eyeing up this stunner of a rattan pet bed by Cox & Cox instead. I mean, pet beds are pretty ugly even at the best of times but I feel like this could be a great looking piece in a room and I have no doubt my cats (and probably my dog!) would love it equally. 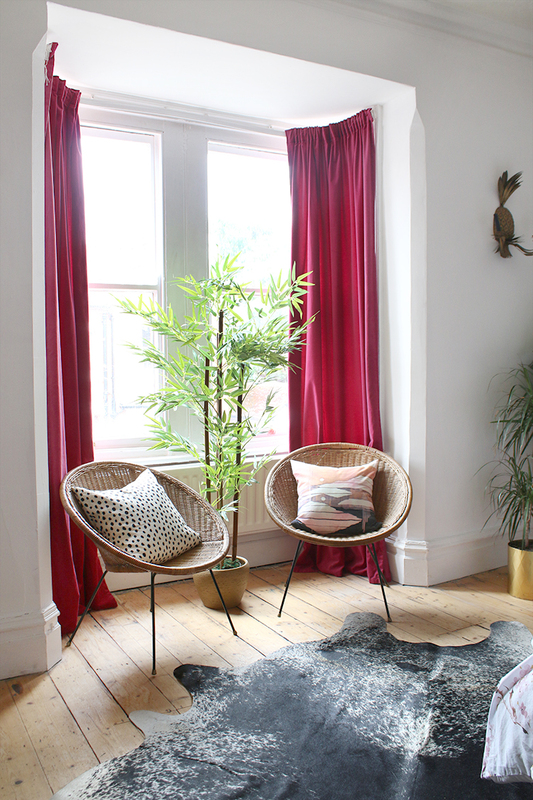 So that’s my roundup of great rattan pieces I’ve found in my travels. Now I think I might need a bigger house to get them all but are there any you are eyeing up yourself? 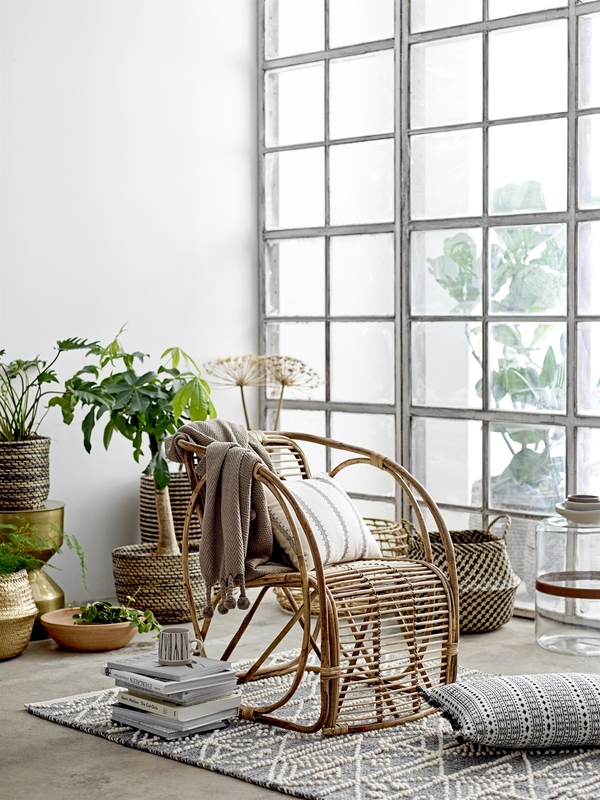 Do let me know in the comments if you’re as enamoured with rattan and wicker as I am this season. Some interesting pieces that I wouldn’t have thought of. To my thinking the rattan chair looks like a wheely chair with the circles on the side. cool! Shema they aren’t real wheels as you could have hours of fun in the garden if they were! The must have rattan addition for you, Kimberly, would be a princess chair, or as they’re often called, a peacock chair. It’s so you! I too really love the look of wicker and have incorporated it throughout my house via caned furniture and baskets. In some instances, I bought sheets of pre-woven caning and applied it within furniture panels to instantly improve a piece. Favorite application was on a 2nd-hand headboard. Done over 15 years ago; still loved & going strong! 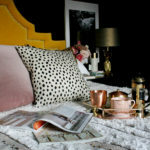 Here’s a site that shows the really wide variety of patterns. Looks amazing! 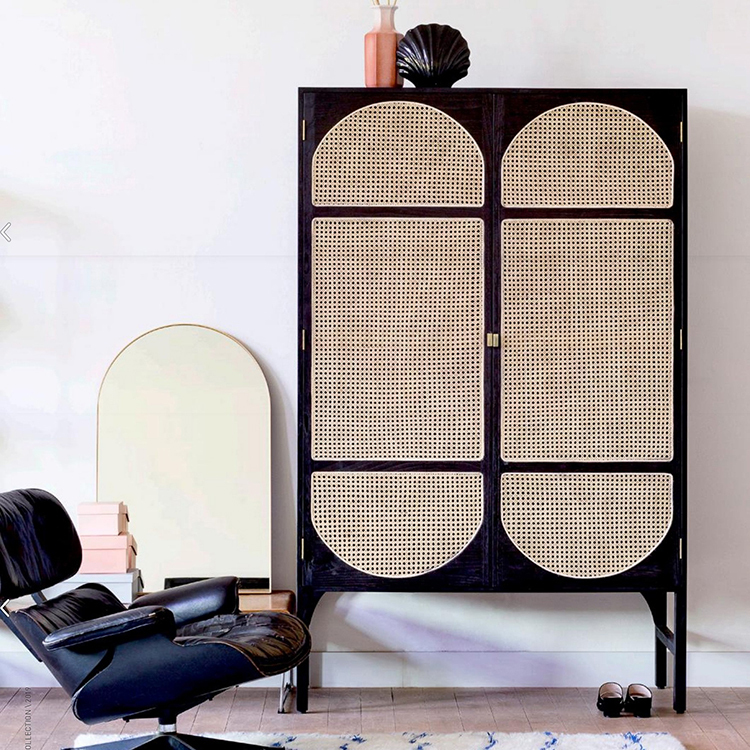 I desperately want the woven wardrobe, the contrast between black and beige is lush. It really adds a new dynamic to the room. Keep posting the great content! Jamie.